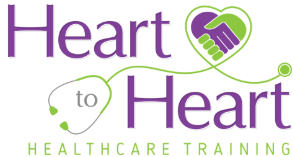 Heart to Heart Healthcare Training is approved through the state of Michigan to provide Certified Nurse Assistant (CNA) training. We offer classes that are two weeks in length, and run Monday through Friday from 8am to 4pm. We offer CPR/AED/First Aid through the American Heart Association. There are several classes that are offered based on your personal or business needs. One of our goals here at Heart to Heart Healthcare Training is to educate the community on life saving techniques such as CPR/AED/First Aid, to help save lives in emergency situations.